Now the pie recipe has nothing to do with anything from the box or the farmers market. And, anyone who knows me, knows that I don’t bake. But this pie sounded just like something Bob & GP would love. It does challenge the difficulty level of Kim’s home made ice cream. ( Ha Ha Ha !) 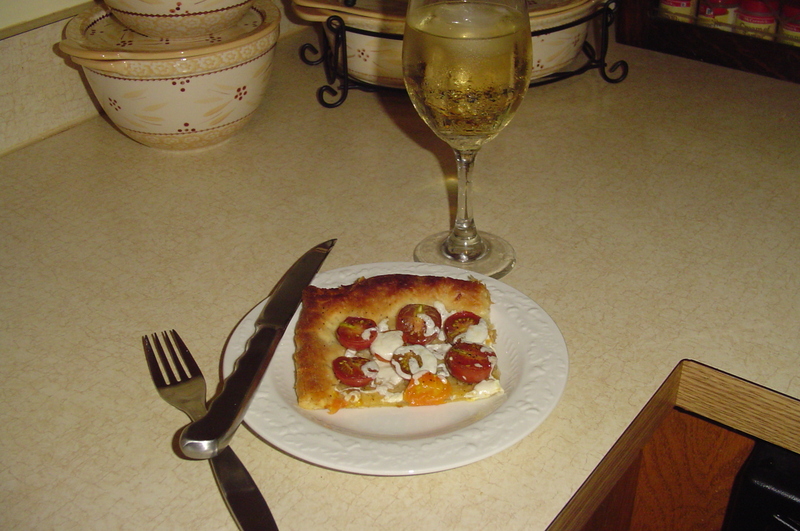 I got this recipe, yes Carolyn, from The Conneaut Courier. The article is called At Home With….Vickie Marcy. 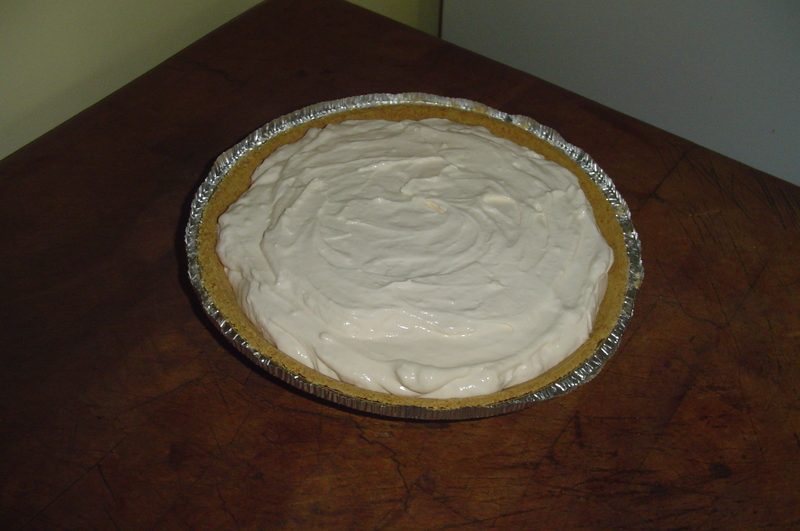 The pie- Lemonade Pie. Recipe : 4 cups softened vanilla ice cream , 6 oz. can frozen lemonade concentrate, thawed, 8 oz. container frozen whipped topping, thawed, 1 graham cracker pie crust. ( I bought it.) Stir everything together & pour into the pie crust. Freeze at least 4 hours. I tasted the filling before I put it in the pie shell and it is tasty! Big slice for GP tomorrow! This entry was posted in Dessert, Dinner, General, Lunch on August 30, 2011 by andrewsbeth. That looks beautiful and sounds delicious! I’ll make you that pie Laura! It looks like the pie is sticking its tongue out! Accident, but funny. Anybody else see that? 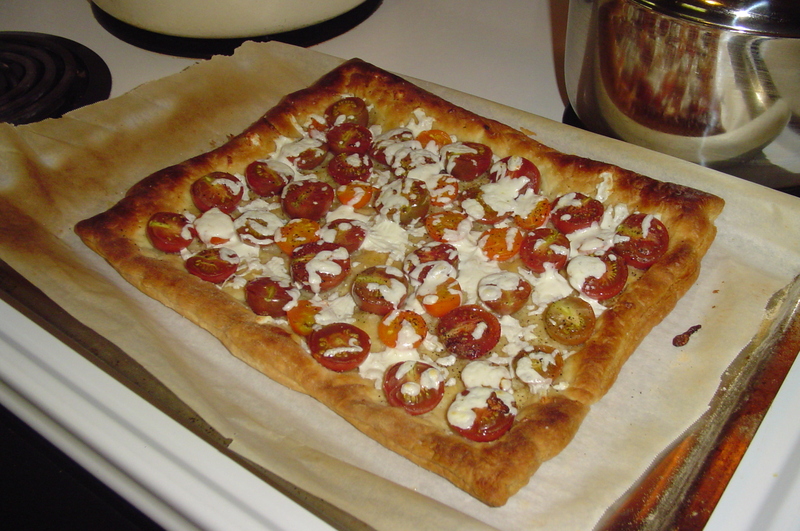 I have one more of those puff pastry sheets, so I am going to try the tomato tart. I made the quiche yesterday that you posted with the potatoes and the spinach. It was so good and I have a slice for lunch! I can’t believe that you made a dessert!